Ezu-like Construction & Merchandise (Nig.) Ltd. or more commonly known to our clients as ELM. Incorporated in 1989, ELM is the flagship company of Ezu-like Group. With over 25 years of experience, ELM has established itself as West Africa’s leading force in architecture and civil engineering, import and export. ELM undertakes all civil engineering works; architecture and building designs; road, commercial and residential building constructions; iron and aluminum fabrications; filling and power station constructions (canopy and underground tanks); construction of factories; and engineering procurement services in the areas of various sizes of flanges, valves, stud bolts and nuts, steel pipes, welding and fabrication equipments and safety. At ELM you will deal with construction, procurement and international business experts and people who have an in-depth knowledge of the construction industry, engineering procurement and global trade, and therefore have current and continuously updated knowledge, making it easy for us to offer a professional, efficient and above all, cost-effective service. Our robust reputation has been built through the company’s strong commitment to excellence, durability, timeliness and cost-effectiveness. We do not compromise quality; therefore anything we put our stamp on is done with guarantee. This commitment is based on our recognition that people and expertise are key elements in the successful running of any construction project and international business. We also take pride in our supply chain and the planning that goes into sourcing of materials, ensuring we meet our unwavering goal of delivering timely and cost-effective service to our clients. From a background of construction to architecture and then to international trade, ELM was established in 1980 and incorporated in 1989 by identical twin brothers Mr Edwin Amobi Ezu-like and Mr George Ugochukwu Ezu-like. Our offices are strategically located in major cities in Nigeria, West Africa and UK, with easy access to major motoring networks. 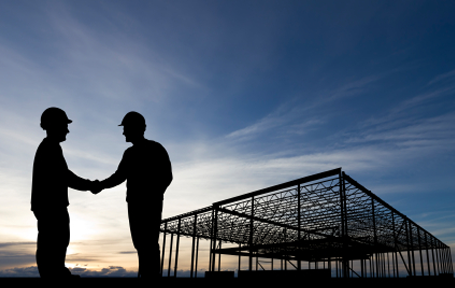 Assisted by significant personnel with over 50 years combined experience in the construction industry and International Business, we have grown to become one of the leading firms in our field. We are also unique in what we do and how we do it. Our business model places us top on the list of trustworthy and reliable firms in our field. We are always seeking to improve our systems and service, with this in mind our Managing Directors welcome your comments, feedback and any suggestions that you have to encourage you to do more business with Ezu-like Construction & Merchandise (NIg.) Ltd. Peer to peer lending (P2P) is an exceptional form of money lending where investors pool resources to fund a borrower's loan request.